There are no Hobbits in J. R. R. Tolkien’s Silmarilion. This may appear to be a trivial observation but it is an observation worth considering when reading Tolkien’s works. Tolkien, it seems, wrote in two styles. He had a “low” style that he used in The Hobbit. This was a familiar, wryly humorous style, perhaps too deliberately written for children in places to be entirely successful as a children’s story. The other style is a grand, epic style, more suited for the affairs of kings, elves and great battles. The Lord of the Rings was a mixture of these two styles. It began in much the same style as The Hobbit, but as the story became more serious and the danger of the Ring and its pursuers more acute, the style became darker and more serious to match. By The Return of the King, with its tale of the great War of the Ring, the style became almost entirely, but not quite, the grand style. There were always the hobbits to return the story to a more down to earth level. The Silmarilion is written entirely in the grand style. The stories are epic tales of gods, elves and men fighting against the first, and far mightier, dark lord Morgoth. There is little room for the sort of humble details of everyday life found in The Hobbit or the Lord of the Rings. The characters are all kings and heroes of ancient times, not humble gardeners. This is not to say that The Silmarilion is not a good book to read. It is an excellent book, and Tolkien is, in his way, comparable to the great composers of national epics like Homer or Vergil. That was indeed his intention when he began writing these stories of the Elder Days and to some extent he did succeed. There are actually five parts to the Silmarilion. The first part is called the Ainulindale and tells of the creation of the world by Eru, the One, who the Elves call Illuvatar. Illuvatar first creates the angelic powers or Ainur, and teaches them to sing to a melody He has made. This song was a vision of the world and many of the Ainur longed to dwell in that world so Illuvatar created it and sent the Ainur, or Valar to complete the work of creating and ordering the world. This they did against the opposition of Melkor, the mightiest of the Valar, and one who sought to rule the world for himself. The middle and longest section is the Quenta Silmarilion, or the Silmarion proper. This is the epic story of the Elves in the First Age of Middle Earth. The Silmarilion tells of the awakening of the Elves in the dark times when Melkor ruled Middle Earth. The Valar go to war against Melkor to save the Elves and he is defeated and imprisoned. TheValar then offer to take the Elves to their home, Valinor, far in the West. Many Elves agree to make the long journey and are named the Eldar. Many others prefer to stay in Middle East and call themselves the Avari. The Eldar travel to Valinor and become mighty in lore and power. The most skilled of all the Elves is Feanor and his greatest work is the three jewels, the Silmarils in which he captured the light of the Two Trees of old. After a time Melkor feigns repentance and is released. He poisons the Two Trees, steals the Silmarils and flees to his stronghold in Middle Earth. Against the will of the Valar, Feanor leads his clan, the Noldor in pursuit of Melkor, who he has renamed Morgoth, the Black Enemy. Feanor is slain but the Noldor and their allies among Elves and the new race of Men continue the war. They fight bravely against Morgoth and managed to confine him to his stronghold for many years, but in the end, their war is hopeless. Morgoth has hosts of Orcs, troll, Balrogs and dragons and is himself a Valar, one of the mightiest beings in the world. The Elves and their allies are utterly defeated only the intervention of the Valar prevents Morgoth from ruling forever. Morgoth is defeated and the Silmarils are lost. Much of Middle Earth is damaged beyond repair and the Western lands where the Noldor fought and died is submerged beneath the sea. The Akallabeth tells of the history of Numenor, the island that the Valar gave to the Men who fought on the side of the Elves. (Most Men sided with Morgoth). The Numenoreans were given a life span beyond any of the Men of Middle Earth though they were not immortal and could not travel to Valinor. Over time, the Numenoreans grew increasingly jealous of the immortality of the Elves and since they could not make themselves immortal, they began to seek for wealth and dominion in Middle Earth. The last king of Numenor, Ar-Pharazon challenged Sauron, the servant of Morgoth, for the rule of Middle Earth, actually defeated him, and carried him back to Numenor as a hostage. Sauron quickly gained the confidence of Ar-Pharazon, and preying on the old king’s fear of death, induced him to assault the Valar and wrest immortality from them. This ended with the destruction of Numenor and the Numenoreans with the exception of a few refugees led by Elendil. The final part of the Silmarilion, Of the Rings of Power and the Third Age, relates the history of the dealings of Sauron and the Elves of Middle Earth. Sauron deceived the Elves into creating the rings of power and attempted to enslave them by forging his own One Ring in Mordor. There is a brief summary of the history told in the Lord of the Rings and a brief mention of the destruction of the ring by Frodo the Halfling and his servant Samwise. After this, the last remaining Eldar of Middle Earth, rendered powerless, leave for Valinor and the cycle is finished. This is a rather grim cycle of tales, probably inspired by Tolkien’s love of the rather grim Nordic mythology. Unlike the Norse tales, evil is defeated in the end, but the damage done can never wholly be undone. Then evil arises again after an age. Oftentimes evil corrupts or misleads the good and sometimes the most damage is done by those who fight most valiantly against evil. Beren and Luthien wrest a Silmaril from Morgoth so that Beren can present it to Luthien’s father as bride price, but the Silmaril causes wars among Elves and Dwarves and the sons of Feanor and eventually causes the destruction of all the Elf-kingdoms. Turin son of Hurin spends his whole life fighting the servants of Morgoth, and is cursed because in the end all his valiant deeds only bring about Morgoth’s victory. Even when Morgoth is defeated, the evil he does lives on to afflict later ages, as does his servant Sauron. When Sauron is, in his turn defeated, and his Ring is destroyed, the Eldar also rendered powerless, no longer wish to live in Middle Earth and return at last to Valinor leaving a colder, grayer world for those of us who are doomed to stay behind. J. R. R. Tolkien was the beloved author of The Hobbit and The Lord of the Rings. The publication of those two books made him rich and famous all over the world, but the work he was really interested in, his magnum opus, was his collection of the legends and history of the Elves titled the Silmarilion. Tolkien worked on these stories his entire life but when he died in 1973, they were still uncompleted. 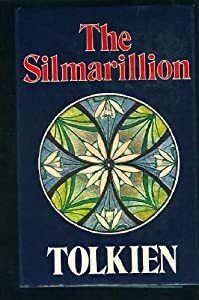 Fortunately his son and literary heir, Christopher Tolkien, took it upon himself to polish the stories and set them in order so the Silmarilion finally saw publication in 1977. When I said that the Silmarilion was unfinished, I did not mean that the story breaks off abruptly or that the stories were undeveloped. Tolkien was a perfectionist and kept rewriting the legends over and over, never seeming to want to complete a final, definitive version. Christopher Tolkien’s main task was in deciding which details to use and maintaining some consistency throughout the published Silmarilion. J. R. R. Tolkien also seems to have been a bit obsessive about keeping every scrap of paper he ever used to write down story outlines, experimental dialog, character sketches, etc. Christopher Tolkien was able to sort out and organize this vast compendium of material and publish it as a multi-volume work which he called The History of Middle Earth. The first two volumes included the earliest versions of the legends and were called The Book of Lost Tales. Later volumes presented later versions and early drafts of the Lord of the Rings, as well as Tolkien’s attempts at writing epic poetry and miscellaneous essays Tolkien wrote on various matters relating to Middle Earth. 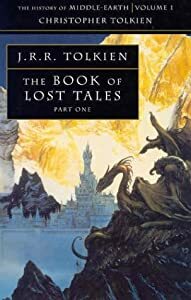 These books, while they can be tedious in the amount of detail and commentary that Christopher Tolkien provides, are nevertheless quite interesting. You almost have the feeling that you are sitting right next to Tolkien as he writes out the latest revision of the Lord of the Rings. Often he makes significant changes as he writes. For example, the scene in which Frodo and his friend encounter a Black Rider for the first time, began as an encounter with a white rider who turned out to be Gandalf. Tolkien wrote about a paragraph of dialog and then scratched out white and wrote black instead. He rewrote the entire encounter, reusing as many of the details that still fit the new storyline. Tolkien was very conservative and often kept using the same details and descriptions, even when he changed the plot. There must have been few authors whose writing process a researcher can study in such detail. I am afraid that there will be no more. Today, a writer who wants to make changes in his manuscript can simply delete and rewrite with a few clicks on the keyboard. I don’t imagine there would be any writers so vain as to save every single version of everything they have written for posterity to read. Tolkien wasn’t thinking about preserving his thoughts. He simply didn’t throw any of his papers away. I am normally a great technophile, but in this case technology has caused us to lose something.